You will definitely hear the school bell ring in your head, when ever you lend your ear to it! The sound of the school bell has a certain amount of energy that makes the adrenaline flow and we look forward to the next hour. The first bell of the day brings in great energy, as enthusiastic young and fresh minds come racing in to the school gates. The day will see the entry and exit of fun and joy in the class, till the last bell that leaves the campus devoid of all energy and seems like the sunset hour in midday. Our first lessons in time management perhaps are rendered to us by this innocuous bell, that may sound jarring at first but becomes part of our growing years. A school period is a block of time allocated for lessons, classes or other activities in schools. They typically last between 40 and 60 minutes, with around 3-8 periods per school day. Educators determine the number and length of these periods, and may even regulate how each period will be used. Managing time is really the first challenge for all of us at school, using the 40 odd minutes to ensure learning and capture the imagination is always the biggest challenge for teachers and students alike. The race against time, the need to complete the lesson plan, ensure good understanding and give the students the real joy of learning between two bells is not an easy task for even the best of teachers. How best you use your limited time determines your effectiveness as a teacher or a mentor for a group of learners. There are thus crucial questions to be answered keeping in mind that the next bell will ring soon- What do I do? When do I do it? How well do I do it? Isn't time management an issue for your students? Do their busy schedules and social lives prevent them from completing homework assignments? Managing time is the most important element as this is the basic premise of our putting in place a time table, the bells for the hour are the key to effective delivery. The time table adds up to the calendar and this makes the academic year for our curriculum delivery. It is often said that students who have studied in residential schools are more independent and parents may have an opinion that they have greater confidence. This is merely because the school works hard to make best use of the full 24 hours they have at hand. From the 'wake up' bell to the 'lights out' bell all members of the school community really work to synchronise the life of a child at the school. As the average boarding school child hears more bells, am taking the risk of stating is perhaps capable of managing her/his time better. When the children return home from boarding school, they do find the going tough at first, then they feel the urge to do something and put forth the question 'what do I do?'. The signal for us to thus get active is really the school bell, the ringing sound may excite us or push us, it definitely is the call of the hour and wants us to know that precious time is ticking. 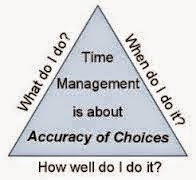 Successful people know how to manage their time better, and leadership in my opinion is really best of time management. If you learn how to use your time most judiciously you will succeed, this is what we will have a mother telling children at home and the school bell reminding us at school. It is important for you to hear the bell ring and value your most precious moments in time. How to Manage Your Time. These days, time seems to be at a premium. We have devices that keep us constantly connected with work, with friends and family, ... this may seem to create some form of stress and challenge you to keep up the pace. All you need to do is put in place you 'things to do' at the early hour or at the first bell, and then do your best to follow it through the day. We must never panic or be stressed, but must appreciate that a 'moment in time' is perhaps the most precious and like flowing water will never come back. 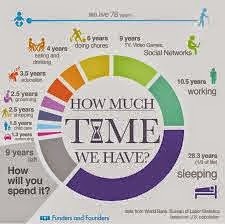 How much time we have? The image on the left shows how will we spend our time, this reminds me of a famous quote “...there will be sleeping enough in the grave....” by Benjamin Franklin. Our life indeed sets a limit of time, and this is indeed the wealth we often do not value in our quest for materials and the race to beat the others to it. 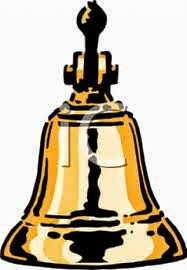 Hear the bell, find the energy, think for yourself and make a conscious decision to how best you will use your time. Remember the school bell and hear it ring always, let it not make life uncomfortable but instead help you enjoy every moment and be the master of your time. Time management alone will help you find yourself and live a joyous life.